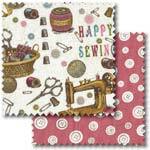 Pelenna Patchworks: Three brand new fabric ranges uploaded today! It's been great here unpacking all these fabrics, they are arriving thick and fast! 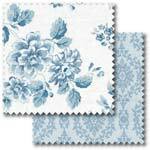 We have 3 new ranges added to the website today, starting with the beautiful blue and whites of the Shabby Chic Chambray Rose collection - pretty but not twee, these fabrics have lovely delicate floral designs mixed in with useful tonals and stripes, all blending perfectly so you can create a whole quilt from the one range. 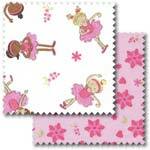 The other two ranges added today are smaller, with 4 fabrics from each - Make do and Mend by Benartex is ideal for sewing related projects like sewing bags and machine covers, and Pretty Ballerinas from Fabri-Quilt includes ballerinas, tiaras and wands - perfect for any pink loving little girls!